NJ Wedding Videographers & Photographers Live Picture Studios Founder/CEO Khoa Le Named Knot Ambassador 2018! Home Who are we? Live Picture Studios Founder/CEO Khoa Le Named Knot Pro Ambassador for 2018! Posted By: Garrett Hemmerichon: May 10, 2018 In: Who are we? All of us here at Live Picture Studios are so proud to announce that our founder/CEO, Khoa Le, has been selected as one of The Knot Pro Ambassadors for 2018! It truly is quite an honor as The Knot has been a trusted resource for millions of couples planning their weddings over the last twenty years, not to mention venues and vendors like us! The Knot Pro Network has been providing industry insights and expert advice to their community of wedding professionals for a long time, but now they’re asking other wedding pros to help and, honestly, it only makes sense. After all, as wedding pros we live and breathe this stuff every single day. 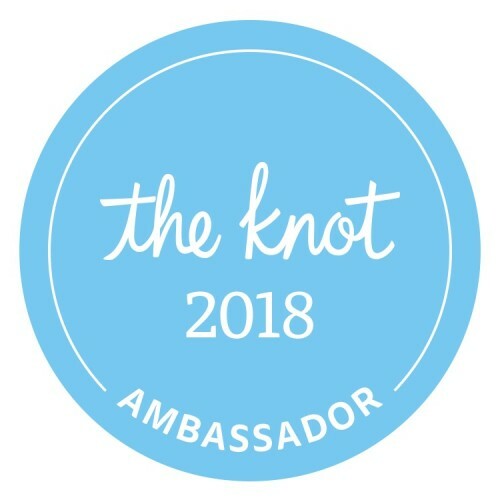 So, they launched The Knot Ambassador Program, reaching out to 25 wedding pros from across the country representing an array of categories like venues, photography, videography, florists, etc. The criteria? A unique point of view, an enthusiasm for the industry, a strong presence in the pro community, and best practices to share. For us, accepting their invitation was a no-brainer. The Knot has helped us so much in the past, so when they reached out to let us know they were gathering a group of educators to speak on their behalf and that they’d like Khoa and LPS to be a part of it as a result of our work and expertise, we jumped at the opportunity to help them back! The goal of the new program is to provide rich content experiences to the pro community, offer insights into industry challenges and opportunities, and elevate the weddings industry through education and local wedding community development. At LPS, we’re always looking for new ways to grow and connect with couples and we’re looking forward to helping others down the same path! For those unfamiliar with The Knot, the site was founded by husband-and-wife team Carley Roney and David Liu after planning their own wedding and realizing that the process would have been a lot less stressful had there been better resources available to them at the time. They became that better resource and have been helping couples plan their unforgettable weddings ever since. That’s what makes their reaching out to us so special and we’d like to thank everyone over at The Knot for the honor once again! Click here to learn more about Khoa and the other ambassadors for 2018 and remember to keep an eye out for pro tips, content, and news about our founder/CEO—and brand new Knot Pro Ambassador—Khoa Le’s upcoming speaking engagements, which will be announced right here on our blog and across our social channels as well as on The Knot’s Facebook page!